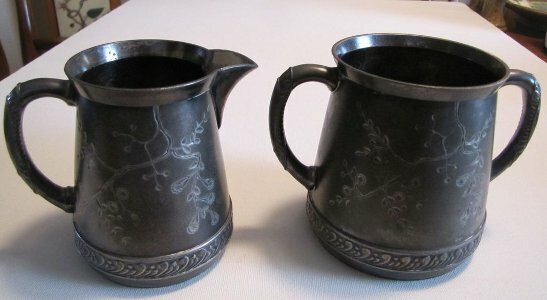 Antique Pairpoint Quadruple Silver Plate creamer and sugar set (circa 1180-1912). 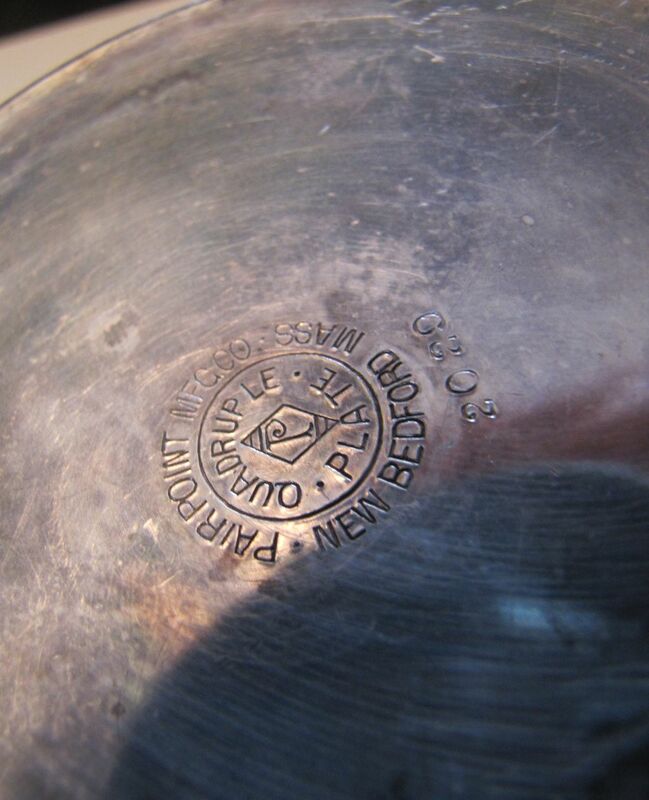 They are marked on the bottom Pairpoint Mfg Co Bedford Mass with the Pairpoint logo and Quadruple Plate in a circle. 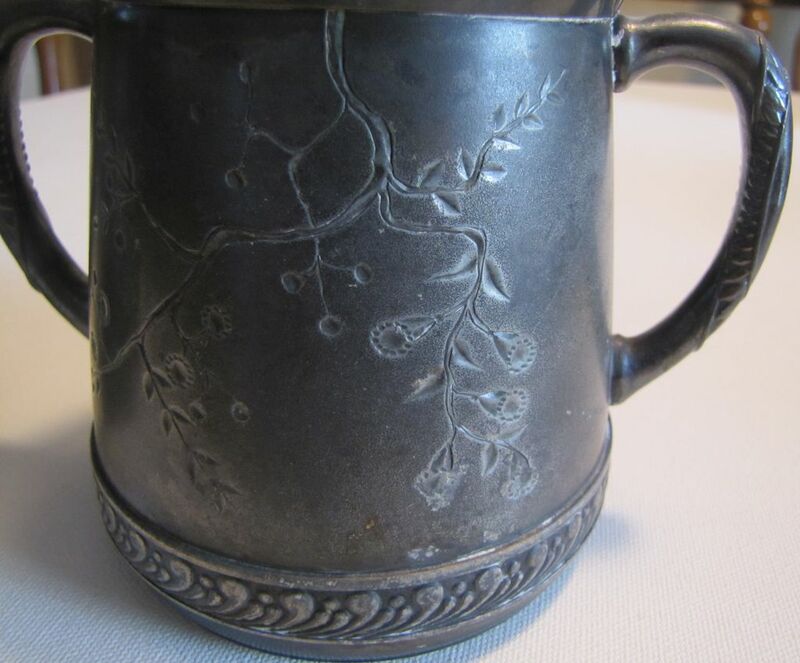 The set is very nicely inscribed with a floral vine decoration and banding. The sugar bowl stands 4 1/4" high with the creamer being 4 1/8" high. They are both inscribed on the bottom 2029 and are in very good condition. I have not cleaned them so they have a nice, dark patina.